Each day in the Gulf of Maine, decision-makers such as business people, city planners, mayors, legislators, resource managers, and environmental regulators require information to sustain human communities and to preserve ecological integrity. They must sift through information about the environment, the impacts of human activities, and the changes in conditions brought by climate, toxic contamination, and other factors. They need to make decisions quickly, trying to access and then apply information from numerous sources. The geography of the Gulf of Maine adds to the complexity of their decision-making processes. 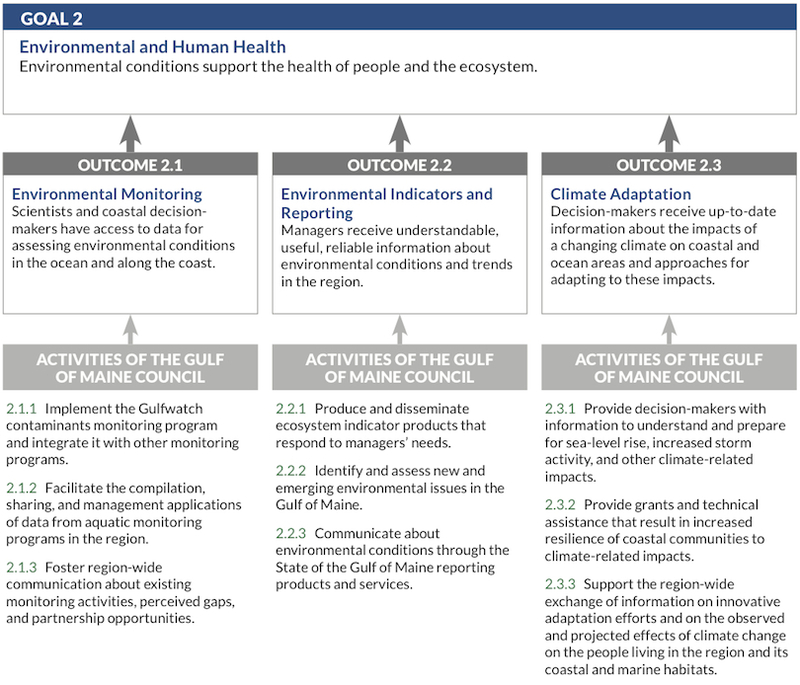 As climate change continues to affect the Gulf of Maine ecosystem, it becomes ever more important to have easy access to reliable, up-to-date, understandable information and analysis, including regional ecosystem indicators, on which to base management and policy decisions. Goal 2 activities address the region’s need for data, information, and partnerships to ensure that environmental conditions support the health of people and the ecosystem.